Crypto-currency Exchanges are the new playgrounds of Young India specifically the Young Technocrats and Restless Investors. Even though crypto-currencies have been around now for more than 10 years, it has seen more frenzy in the last one year with the price of Bit-coins the most popular of cryptocurrencies, appreciating to dizzy heights. Now, what are these crypto-currencies that have suddenly become the flavour of the season amongst the Young Technocrats and New Generation investors? All around the globe, the conversation seems to be about crypto-currencies, smart contracts, and block-chain-based applications and the legal and taxation framework in which these currencies operate. To understand the concept in simple terms, we just need to understand the way these currencies work and the technology involved. Presently most of our monetary transactions require to be verified by third parties. This increases the cost of the transaction making it vulnerable to tempering due to human intervention. Crypto-currencies, on the other hand, are digital currencies which were invented during the subprime crisis to work as a medium of exchange in the virtual world without any interference from Central Banks. 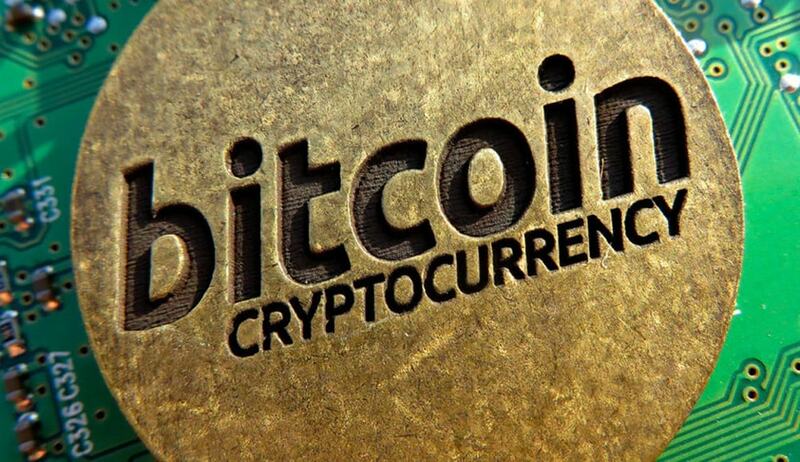 Unlike the Fiat currencies which are issued by the Central Bank of a Country, the crypto-currency operates on a decentralized computing network to form a consensus on exchange without any central controlling authority.It operates on simple mathematical regulations that everyone participating in the network agrees on. This is under a well-defined code called a Block-chain, held on a network of millions of servers and computers in the internet, which is a public transaction database, functioning as a public distributed ledger. When one buys a crypto-currency one pays for it either through another crypto-currency one already holds or through a fiat currency and in return gets a unique program code being the private key underlying the currency. The Government of India is yet to bring in any legislation for categorisation of crypto-currencies. However, the Finance Minister in his budget speech has declared crypto-currencies to be illegal tender and the Tax authorities have issued notices to everyone who has invested in crypto currencies. The Banks in India have increased scrutiny of payments being made by Technology companies dealing with crypto-currencies and on instructions from the RBI have stopped credit cards from being used for buying crypto-currency. This is being done since; the Finance Ministry views the crypto-currencies as similar to Ponzi schemes. No doubt as usual whenever a new Industry opens up and gains popularity many fly by night operators enters the Industry to make a fast buck. Similar has been the case with crypto-currencies. However, the Finance Ministry instead of choking up the crypto-currency Industry by stopping the supply of funds, should regulate and encourage the Industry as is being done by the Japanese, Americans and other developed economies. The Ministry should endeavor to make India a hub for crypto-currency and its exchanges by providing an ecosystem suitable for them. India already has a huge population of Young Technocrats and a robust software services Industry. Encouragement of the Industry by the Government will go a long way in our Country getting benefit from the economic benefits associated with the new Technology. In America several states have already passed laws to recognize crypto currency and related technology. The US Inland Revenue Service recognises crypto currency as property for tax purposes. Thereby implying that any capital gain or loss that accrues would be treated as if it was an exchange of property. It further, provided that it would be treated as stock in trade if it was held for sale and if it used as payment it would be treated like currency and its value would be the value prevalent in the exchanges. Further, Australia has also brought comprehensive legislation to regulate crypto-currencies. The Taxation office has categorised crypto-currencies to be in the nature of an asset for capital gains purpose and is not a supply for the purpose of Goods and Services tax. Further, the Australian Securities and Investments Regulator, “ASIC”, released guidance on the use of distributed ledger technology (including block-chain) in financial services and financial markets. Japan has moved a step further and has officially recognized Bitcoin and digital currencies as legal money along the lines of other fiat currencies. The recognition means regulations governing banks and financial institutions will be applicable to crypto-currency and digital currency exchange. It also characterizes digital currencies as “property of value,” meaning thereby that crpto-currencies can be used for payment in the broader marketplace and that it may be brought or sold. The Monetary Authority of Singapore has also brought about regulations for regulating cryptocurrencies. It has imposed anti-money laundering and counter financing terrorism framework on crypto-currency and crypto-currency trading, in the same line as other currencies. The Inland Revenue Authority of Singapore (IRAS) recognize Bit-coins as “goods”, not a currency, and have issued guidelines on how to treat capital gains, earnings and sales tax on Bit-coin exchanges and related sales. The Finance Ministry is sceptical about crypto-currencies because of its inherent nature of anonymity, ease of transferability, and potentiality for being used for illegal activities akin to a ponzi scheme. Further, a crypto-currency has no intrinsic value apart from what a buyer is willing to pay for it at a point in time. This makes it very susceptible to huge price swings, which in turn increases the risk of loss for an investor. However, the Government by bringing in appropriate legislation can address the areas of concern. The Government can mandate the crpto-currency exchanges operating in India to register themselves, identify and verify users, maintain records, and comply with government reporting obligations and the unregistered exchanges could be subjected to criminal charges and financial penalties to bring them in line. This way the Country can benefit from the economic activities that would be generated as a result of the crpto currency Industry operating in India.